A new book is just out titled “Reconfigured Agrarian Relations in Zimbabwe”. It’s by Toendepi Shonhe, and is based on his recently-completed PhD at KZN. It’s published by Langaa publishers, and is available via the African Books Collective. The book reports on important research carried out in Hwedza district, and compares the fortunes of communal area, A1, A2, small-scale commercial farms and old resettlement areas. It’s a neat opportunity to compare contrasting land use types within one area. Hwedza is a relatively high potential area, although spread across several agroecological regions, and tobacco production is central. So lots of interesting parallels with our work in Mvurwi. Chapters 5-7 provide a useful overview of the national story, broken up into periods from the 1880s to 2015, but this is contextualised in relation to the study area in Chapter 8, which offers a succinct and interesting agricultural and economic history of the district. This was an important commercial farming district, but always had other land uses nearby, notably in the Svosve reserve. The booms and busts of tobacco and other forms of production are well illustrated with historical data, showing that the past was not always so rosy for the commercial farm sector. In Chapter 9, the book offers a lot of data on household assets, production, marketing and so on, across a variety of different agricultural activities. This shows patterns of differentiation, with some doing well and some less so. No big surprises there, but the data once again confirm that the resettlement areas are vibrant, happening places, out-performing other areas across a number of criteria. Appropriately, the book is situated theoretically within a Marxist framework of uneven development and primitive accumulation, introduced in Chapter 2, and explored in relation to theories of class differentiation in agrarian settings in Chapter 3. The book’s novel contributions come in the chapters that explore the relationships between production in the study areas and wider circuits of capital and accumulation (notably Chapters 10 and 11). 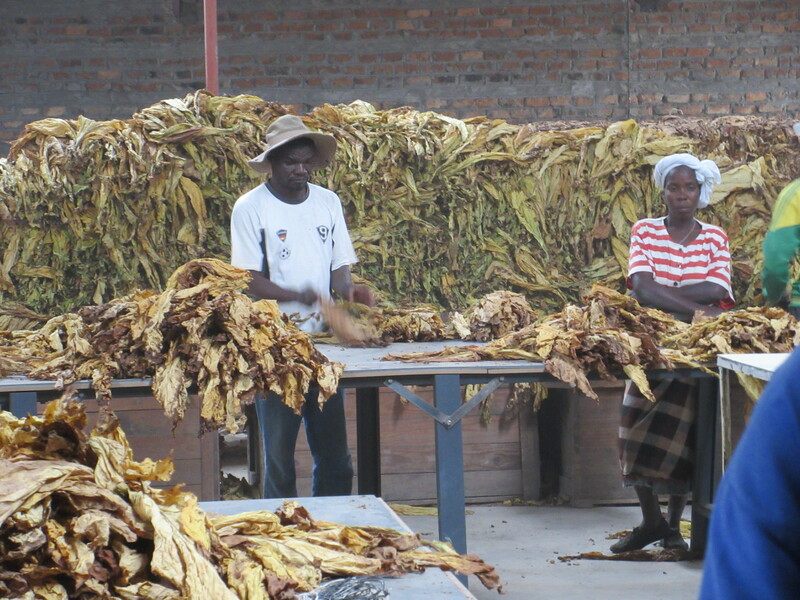 For, with tobacco in particular, the production on farms is linked via contracting and marketing arrangements to international markets and corporate players. Chapter 11 offers a useful typology of social differentiation based on a cluster analysis of survey data, with criteria such as the numbers of months harvests last, maize and tobacco output, cattle ownership and labour hiring being identified as key characteristics. These are similar patterns to what we found from our studies, but the contrasts across so many different land use types is especially valuable here. Shonhe also makes the important argument that understanding patterns and processes of local differentiation must be linked to the wider context of uneven development and capital accumulation. While some accumulation occurs at the local level, with richer farmers emerging in some resettlement sites, accumulation is occurring elsewhere, along commodity value chains, where surpluses are extracted. An important discussion of contract farming is included, questioning the simplistic rush to such approaches as a source of financing of agriculture. The book contains a welter of data and some interesting and important analyses, but as with many PhDs the focus is on the detail, rather than drawing out the wider story. Frustratingly too the book missed out on a final copy-edit; something Langaa publishers really should have seen to, given the cost of the book. The final concluding chapter was a classic PhD summary of answers to questions posed, rather than drawing out wider implications. I think there is much more in the material here than is presented in the book, and I look forward to further publications from Dr Shonhe as he works to tease out the implications. As Zimbabwe re-engages with the international community – and international capital in particular – the lessons here for how this is done, and the likely effects, positive and negative, are vitally important. 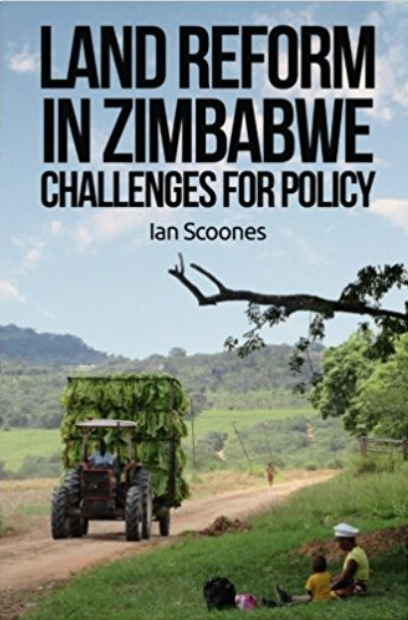 Zimbabwe’s agrarian sector is certainly massively reconfigured following land reform, as the book lays out well, but the implications of this, particularly in relation to the wider dynamics of agrarian capital, require further thought and analysis. This book makes an excellent start. I have been catching up on my reading. There is a huge amount of new literature coming out, and this book is just one example. In the coming weeks I will be sharing short reviews of new work on agriculture and land in Zimbabwe. Nearly all of these studies are by Zimbabwean researchers, reflecting the growing research capacity in this field. If there are other papers or books that you think should be included, please let me know! How does commercial agriculture – and particularly contract farming – affect agrarian dynamics? We have been looking at this question in work in Mvurwi area in Mazowe district over the last few years. New work under the Agricultural Policy Research in Africa project of the Future Agricultures Consortium will pursue this further. 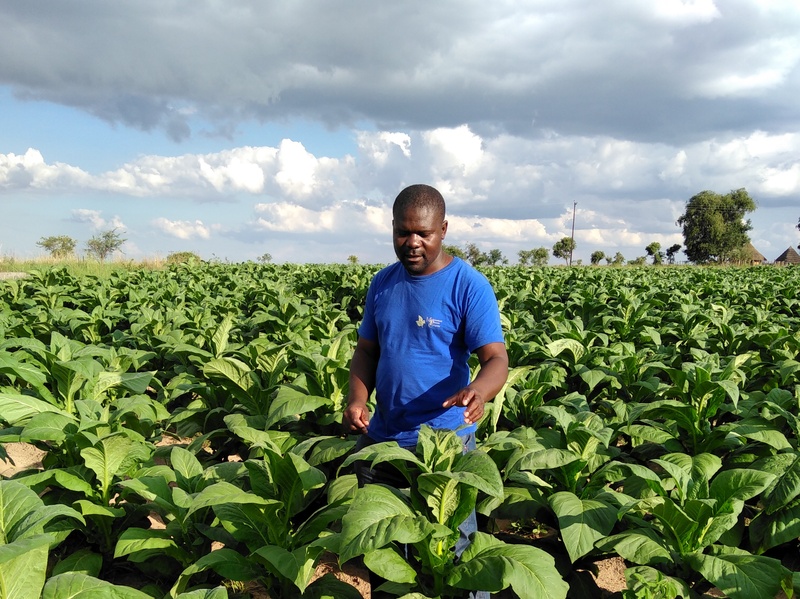 An open access paper is just out in the Journal of Agrarian Change – “Tobacco, contract farming and agrarian change in Zimbabwe”. (PDF here). This looks at the influence of tobacco farming (both contracted and independently grown) on patterns of social differentiation and class formation within A1 resettlement areas. 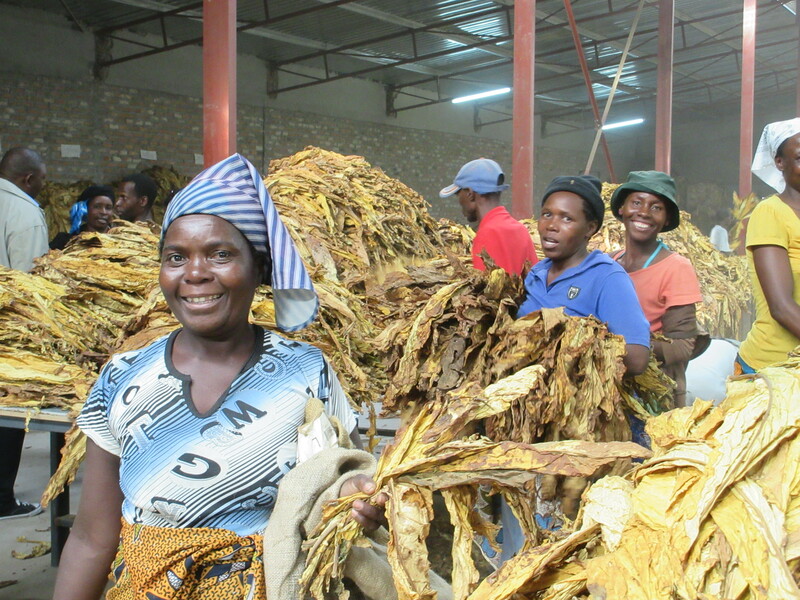 Tobacco production is one of the big post-land reform stories, but how is this driving different patterns of accumulation, with what implications for livelihoods, labour and politics? Lots of data are presented in the paper on contrasting production, asset ownership and investment patterns across our sample of 220 households. Towards the end of the paper, we offer a simple typology of different classes of farmer, resulting from differential accumulation due to tobacco production. The Accumulators: This group are those with sufficient resources to grow tobacco and sell it on their own. In the recent past they may have had contracting relationships with companies, but many have found it possible to operate independently because of sufficient resources accumulated. Tobacco income has been invested in tractors and transport vehicles, allowing households to cultivate effectively and transport tobacco to the auction floors. They balance tobacco farming with commercial maize farming, so they spread their risk in terms of agriculture. Many also have other businesses, including tractor hire and transport, but also house rental, as some have invested in real estate in Mvurwi, Mazowe and Harare from tobacco proceeds. This group is generally older, male, more educated, and sometimes with jobs in town, or at least pensions and other resources – sometimes remittances from children abroad – to draw on, which helps the path of accumulation. This group hires permanent labour, and also uses a temporary workforce hired from the locality as well as from the compounds. Links to state officials, agribusinesses and political networks become important for gaining access to some resources, notably fertiliser, and so accumulation from below combines with accumulation from above for this group. The Aspiring Accumulators: This group includes a number with formal contracting relationships with companies. They do not have enough resources to produce and sell independently, but are prepared to commit significant land areas to tobacco to fulfil contracts, and take on the associated risk. They generally have a larger proportion of their farms allocated to tobacco, and so less to other crops, including maize. However, on average, they still manage to produce more than a tonne of maize per year, and so, even on smaller areas, have enough for self-provisioning. Many also complement tobacco production with small-scale commercial horticulture, often run by women, and so have diverse sources of income. They hire labour, both locally and from the compounds, but have a smaller permanent workforce compared to the accumulator group. In terms of off-farm income sources, this group combines traditional local occupations, such as building or brickmaking, with cattle sales, and some with small transport operations. While aspiring to greater things, this group is certainly ‘accumulating from below’, and shows a significant level of purchase of assets, including cattle, solar panels, cell phones, as well as agricultural and other inputs. The Peasant Producers: Not everyone is accumulating to the extent of these other groups, and for some a more classic peasant production system is evident. This does not mean ‘subsistence’ production, as all are engaging in the market, but the production system features a dominance of own-family labour (although some hiring in of temporary piece work), and production that is spread across a variety of crops, including tobacco. Most in this group will not be in a contracting relationship with a company. They instead sell tobacco, often as part of a group, independently. There has been a large movement from this group to the other two accumulator groups in the past few years. The Diversifiers and Strugglers: There are a number of households who are not producing in the way the peasant producers manage, and are clearly struggling. This group does not engage in cropping for sale (or if so very little, and not usually tobacco, but mostly maize), and often produces insufficient maize for self-provisioning. Such farmers have to diversify income earning activities, often with a clear gendered division of labour, across activities including building, carpentry, thatching, fishing and some craft making (for men) and vegetable sales, trading, pottery and basket making (for women). They rarely hire labour, and will often be the ones labouring for others, as temporary labourers on nearby farms. These categories are far from static, and the drive to accumulate, with contracting seen as an important route to this end, is ever present, both in people’s own commentaries, as well as in observed practices. Everyone can see success around them, and tobacco is the symbol of this, although some are having their doubts about its sustainability and diversifying into other high-value crops. These categorisations of also miss the differential trajectories of accumulation within households, across genders and generations. As seen in the recent blog series, some youth are failing to make it, and often remain within increasingly large accumulator households as dependents, even after marriage. 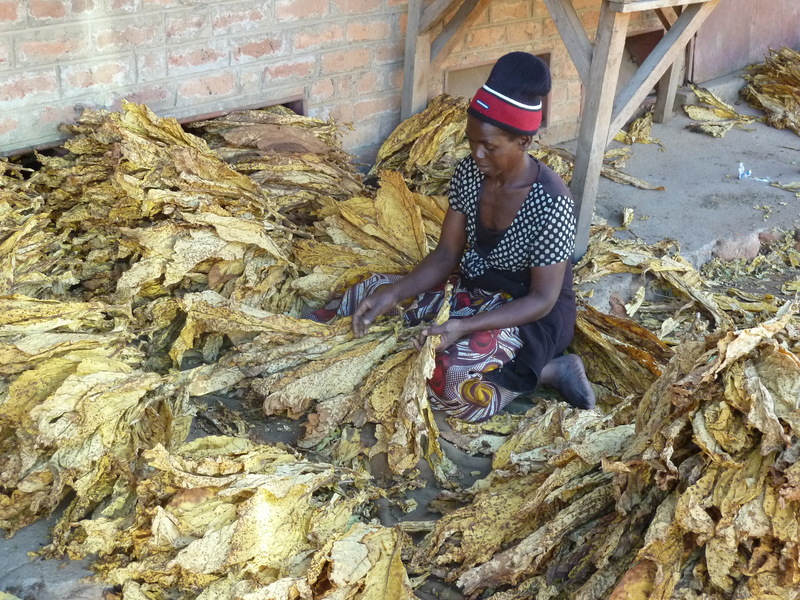 Some women may be tobacco farmers in their own right, but tobacco accumulation is predominantly a male phenomenon, with men often taking on the tobacco business, and associated investments from the proceeds. What do these patterns tell us about likely longer-term patterns of agrarian change? The tobacco boom has provided a significant group of land reform beneficiaries the opportunity to accumulate. This has had spin-off effects in the rural economy – generating employment, resulting in investments of different sorts, and changes in the local economy as small towns like Mvurwi grow. It has also generated class-related conflicts and dependencies both in relation to compound-based farm worker households and with others in the A1 areas who are struggling to reproduce. The weak kin-based social relations within new resettlement communities limit the redistributive effects of a ‘traditional’ moral economy, and means that there are genuine losers, as well as winners, from the land reform. There are inevitable limits to accumulation, set by environmental factors (and especially the supply of wood for curing), market conditions (and changes in the world market, health concerns, the demand for higher quality leaf and price shifts), social-political relations (and the ability to negotiate within markets), and limited land areas. In the A1 areas, successful households attract others, particularly from the communal areas, and household sizes expand as others are taken in. Surplus income can be invested in basic social reproduction – including maintaining rural homes, investing in education, health care, marriage of children and so on – as well as production – including livestock, farm equipment, inputs, transport and so on – but again there are limits to the herd sizes and capital items and other inputs that can be bought. A key question will be where the next round of investment will end up. Here the relationship between countryside and towns, especially small towns, becomes important, as accumulators build urban/peri-urban housing for rent, private schools as business ventures, and sink capital into other urban-based businesses, potentially a source of employment for the next generation. This is only beginning now, but the data show that this is a trend to watch. These economic transformations also feed into and are built upon social and political dynamics. Successful A1 farmers – very often well educated, and with links to urban areas – are important social and political actors, often seen as leaders in local political formations (mostly within the ruling party, ZANU-PF), but also in other groupings, such as churches and business associations. How alliances are struck with farm workers – in all their forms – as well as those A1 farmers who are struggling will be significant, as new forms of agrarian politics emerge on the back of the tobacco boom. Last week, I offered an overview of our findings on changing livelihoods among former farm workers from three former large-scale farms near Mvurwi in Mazowe district, and focused on broad survey findings, but what about individual’s life stories and perspectives? This week, I share four case examples of around 25 we have collected to date. They offer important glimpses into the life of farmworkers, before and after land reform (see also blogs from last year on this theme). The first two are women (both single) who have gardens, but must rely on piecework and remittances to survive. The first case fits into the group highlighted last week of households with between zero and 1 ha of land, while the second has no land beyond a very small home garden. The second two are profiles of men and their households, both with 1 ha plots. From these interviews we can see clearly how things have changed, in different ways from different people. A recurrent theme is the sense of new freedoms, but also extreme challenges and precarity. Reflections on the past focus on control, ordering and disciplining, but also stability and the certainty of a wage. As the testimonies show, farmers were very different in their approach. Different people weigh up the pros and cons of change in different ways. Gaining access to land, as highlighted last week, even if a very small plot is seen as crucial, but this is only available to some, and security of tenure is uncertain, dependant on local patronage relations. The life histories highlight the multi-generational experience of farm work, and the endless mobility of moving farm to farm in search of work. Several of these cases have family connections with Mozambique or Malawi, but several generations removed. Home has become the farms, although some have communal area links. A fragile existence persists, as we see much mobility in populations living in the compounds in our study areas. Evictions are frequent, and conflicts with settlers common, although, as noted in some of the cases new accommodations, as land is rented, skills hired and former farm workers become incorporated. Above all, the cases highlight the complex livelihoods of former farm workers, and how, as discussed last week, the single category is insufficient. A process of differentiation is occurring among former farm worker communities, with links to the new settlers and radically changed agrarian landscape influencing what is possible. I was born in Forrester Estate in 1967. My father worked there on irrigation, opening water to the canal. Mango and apple is what they grew mostly. Also wheat and soy bean. My mother worked as a general worker. I came to this farm with my parents. I went to school up to Grade III (Lucknow farm school). My mother became sick so I left school. I looked after the other children, as I was the first born. I was married in 1980. I went with my husband to Mozambique in 1992, and returned here in 2009. My husband married another wife – it didn’t work out. My father is still here, and my mother is late. I have had five children. My first born girl is late, and I also have four boys. Two did Form 4, and other two up to Grade V/VI. We have a garden for growing tomatoes and vegetables. We go and sell by the road side to raise cash for school fees. It’s about one acre. We dug ponds in the garden. I work with one of my sons in the garden, and do not hire labour. We do maricho (piecework labour) ourselves. One son is here, but the others are in Mozambique, but I don’t get any income from them. In past when working for whites, we had very small gardens near the house only. Now we have extended gardens, and can grow more. My livelihood is better now, as I have the freedom to do gardening, and sell without asking anyone for permission. You can plan to do what you want. There’s no-one to plan for you. Before you were told what to do. Now time is your own. You have to plan. If you work the land you will be OK; if you are lazy and don’t bother, you will starve. I was born in 1977 and went to school up to Grade 7, but I didn’t proceed to secondary, as I had no birth certificate. I was the first born of a family of four. We lived on different farms on Forrester Estate. My father was a cook who moved from place to place, working for the same white man who was a cattle manager. My mother was both a general labourer and a house girl. My father started out as a worker, then became foreman, then house boy then cook. My grandparents were farm workers too, working near Concession, and were originally from Mozambique where they were both born. We moved to this farm in 1992 when my father’s boss moved. I have never married, but I gave birth to a son in 1992, who is now training to be a lawyer at university. I have two boys and a girl, and live with my parents. We have never had any money. The pay was always poor. The white farm owner here was harsh. If you bought a bicycle or TV he wanted to know where it came from. There was a mindset that workers would always steal. Even if we had extra money, we would not buy things, as the farmer would be suspicious. Here you were not allowed to farm anything. No gardens even. In one year only he gave 3 lines for all the workers, but that was it. As a cook, foreman, driver or clerk you got given second-hand chairs or a TV from the whites. We have been helped by my brothers. Two were kombi drivers in Banket. My parents helped then get licenses. They helped with the education of my kids, and fund my son at UZ. Today it’s difficult to raise money – it’s only maricho (piecework). Despite being old, my father and mother even go. We have a very small garden, where we grow vegetables and a bit of maize. We do have one cow which gives us milk. We don’t have any other land. Those with connections got 1 hectares, and farmworkers were prevented from getting resettlement land. This is home now. We have nowhere to go. The farm workers have a cemetery. This is where we live, however difficult. In the past you had a salary. You knew it would come. If the boss had relatives visiting, my father would get extra. Now you don’t know where money will come from. But at least we will not be asked where we got the money to buy things. We now have a TV, sofa and kitchen unit. Each child has a bed. We also have solar. There is more freedom but it’s a tough life. I was born in 1969 in Muzarabani, was married in 1993 and I have four kids: two girls are now married and did up to Form 4, I have one boy doing Form 3, and one girl in Grade 6. My parents worked on the farms, creating the steam for the boilers for curing. I started working after Form 1, as an assistant spanner boy at Concession, and went to work on tobacco farms in Centenary. In 1995, I was promoted to be a foreman, and later went on a course on curing, planting, reaping at Blackfordby. I came here in 1997, as my boss was friends with the former owner here. He was a tough guy. You couldn’t buy personal property. I had a small radio only. I would buy goats and sell for school fees, and other money was sent to my parents now retired back in Muzarabani communal. I tried to keep broilers, but was taken to the farmer’s own court, and wasn’t allowed to keep them. He needed people to be dependent. You had to buy at his shop, and couldn’t go to Mvurwi. He would give chikwerete (loans), but would be deducted from the salary. There was a football ground, and we were the ‘Sharp Shooters’, competing between between farms. I got a 1 ha plot in 2002. Because farmworkers were prevented by the white farmer from the card sorting exercise for allocation of land, 27 of us came together and argued that we needed allocation. We went to the village heads, party officials and the Ministry of Lands. In the end, we were given land set aside for ‘growth’. We don’t have ‘offer letters’, but we went to the District Administrator and our names are there. But without ‘offer letters’, we can’t get any support. We don’t have any help at all. There is still suspicion of us compound workers. During the elections of 2008 it got really bad, and we were thrown out. We camped on the roadside for three days, until the MP and other officials intervened. We came back and relations are better now. I also have been renting land. One of my relatives has a big field in the A1 settlement. She is a war vet and was married to my late brother, and I rent a plot to grow maize from her. In exchange, I help them out and do the grading and curing of their tobacco. But this year I didn’t get any land, as she used the full six hectares. My son, my wife and I all do piece work. We’ve got a garden (about 30 x 40 m), and grow potatoes for sale in Mvurwi, and at the homestead we grow bananas and sweet potatoes. I first planted tobacco in 2006, with 7000 plants and got 12 bales. Then in subsequent years, I got 15, 12 (I was disturbed in 2008 by the evictions), 16, 18 and 20 bales. Since 2011 I have got 20 each year, with 25 bales in 2016, the highest ever. I employ workers on piece work from the compounds myself. After harvest I buy inputs in Harare, bulk buying. After land reform, I have bought other goods. We now have a 21” TV, a sofa, two bicycles, a kitchen unit, a wardrobe and a big radio. I built the barn myself, making the bricks. I also have two cows and three goats, and I hire a government tractor (from the Brazilian More Food International programme) for ploughing. I was born in 1963 on a farm in Concession. Our family originated from Mozambique; my parents came as labourers. My parents separated, and the six kids went with my mother to another farm. We moved to many farms over the years, and came here in 1981. Of my siblings, one of my brothers is also here, and another works on a farm near Harare doing brick moulding. My two sisters live in Epworth. At first I was a general labourer. I got married in 1984, and it was around that time that I got promoted to deputy foreman on the ranching operation. My now stepfather came here in 1986. He is now late and was a specialised grader. I have five kids: 4 boys and 1 girl. My first born is working and assisting me. My second born is assisting teaching here on the farm paid by the Salvation Army, the others are still at school. I have a one hectare plot and a garden. The Committee of Seven and sabhuku (headman) allocated plots to 30 people (out of 89 households in the compound). At land reform, we were prevented from getting land. We concentrated on our jobs. We didn’t know if the land reform would happen for long. Now we know it’s a reality, but we missed out. Before the farmer would parcel out lines in different fields for farm workers. This was an alternative to rations, and only maize only allowed. You could get a tonne out of your allocation. The farmer here wanted everyone to go to school (Lucknow Primary). Four white farmers built the school for farm workers, and school fees were deducted from wages. We did not rely on extra work apart from farm labour. We were busy. We had a revolving savings club to allow us to buy things, but couldn’t buy much. It was a struggle. We didn’t buy livestock as we had nowhere to keep them. We were allowed to buy TVs, radios, bicycles. But the farmer didn’t want noise, so radios had to be quiet! We had enough to survive; hand to mouth. On my one hectare plot, I generally plant tobacco and maize 50/50. I managed to buy a truck in 2014 from 16 bales of tobacco from ¾ ha. I have five cattle, an ox cart and an ox drawn plough. I also managed to by a bed. I have to pay school fees too. I use the truck to transport tobacco to the floors, and others pay. From 2013, I am no longer going for maricho (piecework). Those with 1 ha plots end up being the employers here. Otherwise if you don’t have land it’s all maricho. Sourcing inputs and tillage is a major challenge. In the past selling was not a problem, you could get a letter from the Councillor. But today they want an offer letter. About eight compound members have TIMB grower numbers. I help others to sell under my number. They say thanks with $20. One son does it locally on the A1 farms. Family members help in my field, and they get a share. I hire labourers from the compound. About five when doing picking, also planting, weeding, grading. $3-4 per day. My son also now has a one hectare plot, given out by the A2 farmer next door, who lives in the old farm house. There is no payment for the land, but if he asks for some help, we go and help out. It’s all about good relations. Life is better now if you have land, even though it is small. For those without land, they view the past as better. In last week’s blog, we saw how ‘structural violence’ and deep patterns of inequality and marginalisation, affected by patterns of social difference – of gender, age and ethnicity – have influenced who gets exposed to trypanosomiasis (just as is the case with other diseases, such as Ebola). This week, the theme is continued, by looking at how migration into the area has created both dramatic land use change and changing patterns of vulnerability to different social groups. Migration has radically changed landscapes in the Zambezi valley over the past 30 years, as large numbers of new people moved into what were once sparsely populated areas. As people have moved into the valley to farm – first cotton, now increasingly tobacco – they have cleared land for fields and homes. Initially animals suffered badly from trypanosomiasis, but this declined after a while, as cleared areas were created through intensive control efforts. The work of the Tsetse Control Branch, and projects such as the RTCCP, funded by the European Union, helped. But such control was always partial, and risks increased as people settled in new areas. In the 1980s and 1990s people moved from the overcrowded communal areas to the south. Unable to make a living on shrinking land sizes and in the context of the absence of a substantial land reform programme. From the 1990s, following a structural adjustment programme that shrunk the economy and reduced job opportunities, people had to find other means of making a living, and migration to new lands was one response. In the late 1980s I was living in Zvishavane district in the central-south of the country in a communal area. From our sample, several people made the move to go and settle elsewhere (in Gokwe, Muzarabani and beyond). They were relatively young men with their families who had been granted very small fields, and had greater ambitions. As employment opportunities shrunk, carving out a new life on the land frontier to the north was increasingly appealing. As the boom in smallholder cotton growing occurred, news travelled back, and more left. On arrival, it was a harsh existence. New fields had to be cleared from pristine bush, wildlife were a constant threat, and the tsetse fly was ever-present in the newly settled areas, constantly threatening the health of both people and animals. Today, the settlers from 20-30 years ago are now established, have cleared land (and so tsetse flies), and many are currently prospering from the tobacco boom. Well connected to political elites, these now 50-60 year olds are mostly no longer part of the vulnerable population that they once were. But today, a new group of migrants has arrived, and they are especially vulnerable to disease, again being pushed to a new fly-infested frontier. With land reform in 2000, the Karoi farms to the south of our study area were taken over, and transformed into land reform settlements. In this area, many well positioned political figures took over the large, (mostly) tobacco farms, although there were also subdivisions to create A1 farms for many more people. In both cases, farm workers who had lived on these farms for generations, often in appalling conditions, were expelled in numbers. Thousands had to seek other alternatives to farm wage labour. A few had connections elsewhere in Zimbabwe, but many were second or third generation ‘foreign’ migrants, originally from Malawi, Mozambique or Zambia, with nowhere to go. They had been isolated through the form of ‘domestic government’ so well described by Blair Rutherford in these very sites, and were almost completely reliant on the white farm owner. With the economy nose-diving due to a complex combination of gross economic mismanagement, capital flight and economic sanctions from western governments, after land reform many fled north to our study sites in the valley in search of land for farming, or for hunting and gathering. The local chiefs had already accommodated huge numbers of others in the previous years, where were these new arrivals to go? Eager to expand their territory and increase numbers under their rule (and so acquire increased remuneration from the government), they placed them along the frontier of the national park, and even, illegally, into the buffer area. Acting as a human and livestock shield for others in the now cleared core areas, they provided political and economic benefits to local elites, while in the process taking the brunt of disease impacts. Thus the disease landscape has over time been radically restructured by migration, and the demand for land. Understanding disease is not just a biological-epidemiological task, but one that must take account of wider political economic factors – such as the state of the economy, opportunities for employment, land reform impacts and more. Diseases such as trypanosomiasis are always inevitably political. At the end of last year, President Xi Jinping dropped in to Harare en route to South Africa and the major FOCAC (Forum on China-Africa Cooperation) meeting, held every few years, where $60bn was pledged for African development. The road to Harare airport was adorned with huge posters welcoming Zimbabwe’s ‘all-weather friend’. The Chinese delegation included around 200 officials, all keen to consolidate the long-standing relationship with Zimbabwe. There was much hype in the local press. 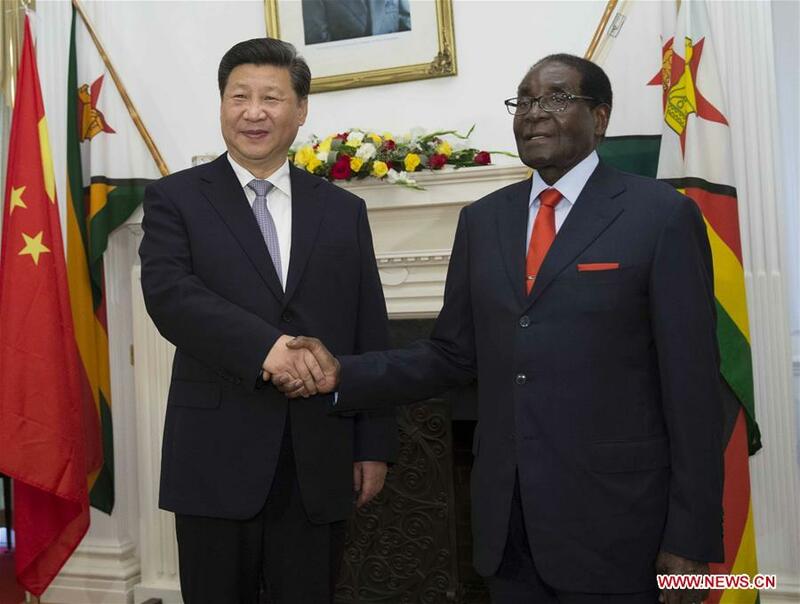 Was China going to bail out Zimbabwe, with the ‘look east’ policy finally paying off? In advance of the ZANU-PF Congress, was the Chinese president going to help with the succession issue, publicly backing Vice President Emerson Mnangagwa, who has long ties with China? Was this going to be the turning point for Zimbabwe’s politics and economy? Well no. As with many other engagements with China over the past few years, the expectations were not matched with the reality. China certainly values its partnerships in Africa, and connections with Zimbabwe are certainly important. Chinese interests in mineral exploitation in the country are significant, and as a sympathetic country not captured by Western interests in the southern African region, Zimbabwe can be important to Chinese diplomatic efforts. But of course Zimbabwe is small fry for China – even its significant mineral wealth – and this is not a new ‘colonisation’ as some suggest. In China’s ‘new normal’ – characterised recently by a slowing economy, overvalued currency, collapsing stock markets – China is attempting to switch from resource-dependent industrial growth to a more service-oriented, knowledge-based economy. This will take time, but the heat has gone out of China’s voracious drive to acquire resources in Africa, and elsewhere, with trade declining. This has had a major impact on resource-dependent economies in Africa and elsewhere, most notably Brazil. So Zimbabwe may be more important as a symbolic friend, one where connections and networks that date back to the liberation war, and early careers of the now aging generation of ZANU-PF politicians. Of course the political economy of the relationship is very different to the 1960s and 70s, but these connections of solidarity matter – on both sides. And both are happy to make use of them, whether through joint deals on land, support for the mining industry, investments in power and infrastructure, security sector support or diplomatic solidarity in Africa – President Mugabe is after all the chair of the African Union. Zimbabwe hit the international headlines with the (re)announcement that Zimbabwe would adopt the yuan – China’s currency – as part of its multi-currency basket (it has actually been so since 2014), down-grading in turn the South African rand, which has suffered badly recently. This will have virtually no tangible effect, and the US dollar will continue as the main currency for now. Instead, it was an importantly symbolic move, as China is keen to move the yuan to the status of an internationally tradeable currency. Just as the British PM and Chancellor offered the City of London as a place for international trading, so too President Mugabe – bizarrely on the same diplomatic and economic mission – could offer China the opportunity to symbolically showcase its currency, even if in one of the most depressed economies in the region. There were of course agreements and signings and some tangible offers as part of the visit. There was the long hailed support for the rehabilitation of the Hwange power station; a commitment to help build a new parliament building; there was the promise of a debt write off to the tune of $40m; and there were other promises of investment into the future. Chinese investment in Zimbabwe of course continues, both through official state-facilitated channels and more informal routes – whether small-scale mining operations or deals with A2 farmers made by Chinese companies. The security services, with their strong historic links to China, are an important conduit – including in retail and agriculture. And Zimbabwe will in turn continue its strong trade in tobacco, and occasionally elephants, with China. It was a whistle-stop tour, and the delegation was soon gone. But long after the posters on the airport road come down, the connections will remain important, and other investors, diplomatic missions and aid agencies will have to take note.